Exporting from Asia makes up a very large portion of international export and shipping. Low cost labor allows manufacturing costs to remain lower than other international areas making the Asia Pacific area a prime location to produce cheap goods. Electronics, automotive parts/ products, heavy equipment, consumer durable goods all find themselves loaded onto shipping containers to be exported by ship and air to the US and other areas throughout the world. It’s difficult to generalize the specific areas of major export areas from the Asia Pacific region, because China and North Korea have separate trade agendas making it difficult to pinpoint accurate export quantities. To identify significant exporters and products by country – Singapore, Japan, South Korea, China and Malaysia are major exporters of semiconductors and electronic products. China and Indonesia are the leaders of exporting textile and oil. South Korea, Japan and China export by container shipments automobiles, industrial equipment and heavy machinery. To understand the volume of export and import container shipments arriving to this region, review this list of top 10 Asian Ports, all supported by Zircon (USA) Logistics. 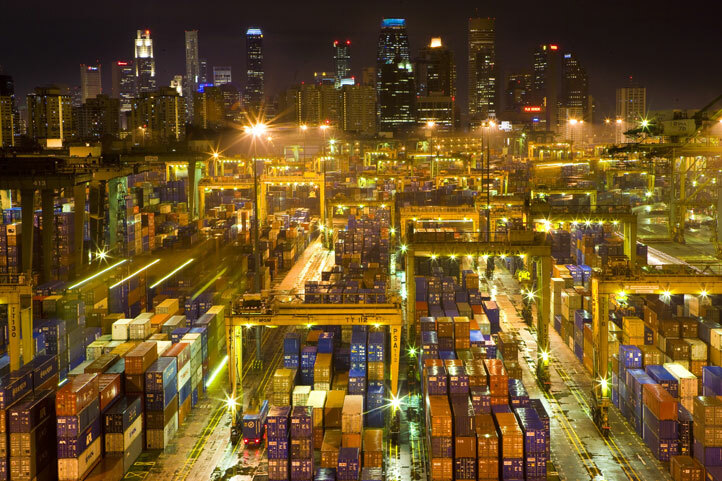 The busiest port not only in Asia, but the also in the world, the Port of Singapore has a ship exporting ship containers or importing ship containers arrive and leave once every two to three minutes. Singapore believes in free trade and imposes relatively few trade barriers for exporters. Partners of the Most Favoured Nation (MFN) enjoy nearly zero tariff rates on their products with a few exceptions on alchohal and rice. The port of Kaihsiung is Taiwan’s leading shipping port. Kaihsiung is responsible for the majority of Taiwan’t oil imports. The port is viewed as an export-processing zone . There are over 118 berths including 25 container terminals capable of 6000 TEU. Over 372 shipping routes extend to 367 ports in 102 countries spanning five continents. 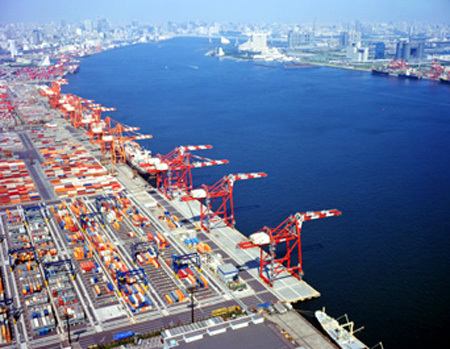 The Port of Tokyo is one of the largest seaports in the Pacific Ocean. Toko boasts an annual capacity of 100 million tonnes of cargo and 4,500,000 TEU’s making it one of the largest Japanese seaports. The port plays an important role in Tokyo’s economy employing over 30,000 people who service over 32,000 ships yearly. The Port of Tokyo was once known as the Port of Edo and is a major transportation hub in Japan. chemical industry products, clothing and personal items, electrical equipment, furniture and equipment , processed foods, fruits and vegetables, industrial machinery, and pulp and paper. chemical industry products, reusable materials, industrial machinery, and auto parts, scrap metal, electrical equipment, rubber products, and metal products. As an expert Freight Forwarder we can take the risk and confusion out of shipping your cargo to any port, city or town. How can we help / Please describe your needs.